Are you looking for a way to make the most of your outdoor spaces? 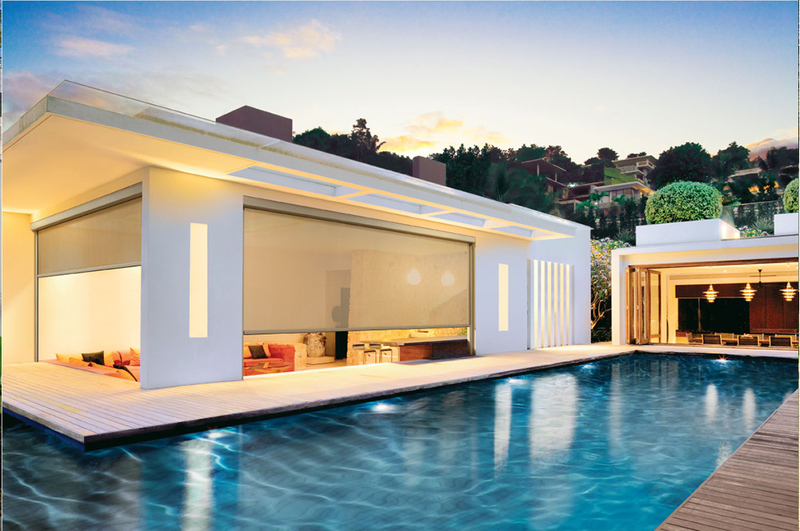 Perhaps you want somewhere protected to relax or entertain, or maybe you’re keen to extend your living areas. Outdoor blinds are an easy way to instantly expand your living space and enjoy the feeling of being outdoors while staying protected against the elements. 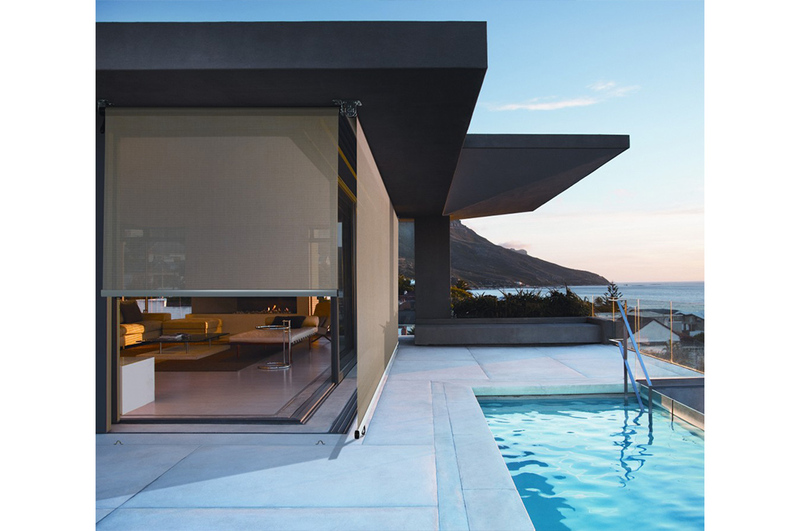 Whether its shade for your deck or garden, or an entertaining area that you can use in all weathers, outdoor blinds can give you access to your homes outside areas without the need to go through extensive renovations. 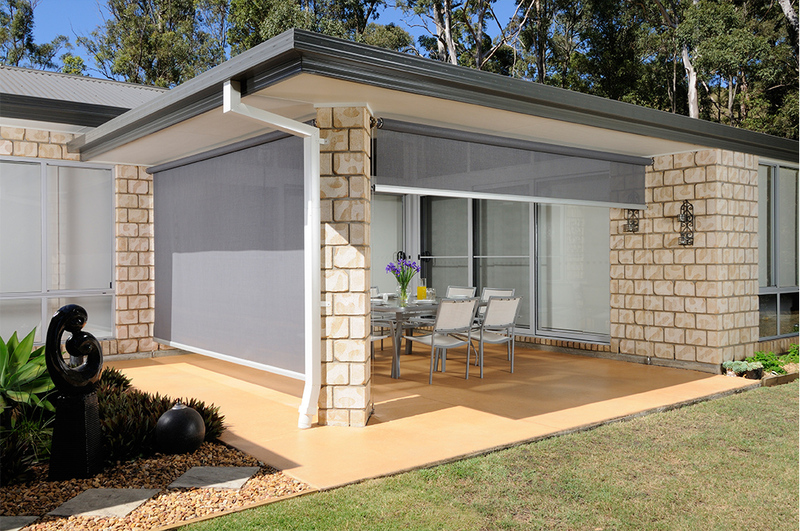 Cord and Reel: Available in all fabric types, these outdoor blinds are very popular, especially for verandahs and pergolas. Gearbox operated: A good value for money option, gearbox operated blinds work with a crank handle that is hooked into the gearbox to wind the awning up and down. Because they have no cords they enjoy a clean finish while still being as easy to operate as a roller blind. Wire guide: Also known as stainless steel wire guide awnings, the wire guide lets the awnings move up and down easily and with a very close fit. These are very popular due to their ease of use, versatility and sleek modern appearance. Cables are 316 marine grade, making them ideal for coastal locations. These blinds are usually crank operated but they can be motorised for extra convenience. Channel guide multi stop: Their spring tension system makes these blinds easy to operate by hand and with no gaps or messy cords you can achieve a wonderfully clean look. The bottom bar is spring loaded and locks into position at any point when it is turned and released. 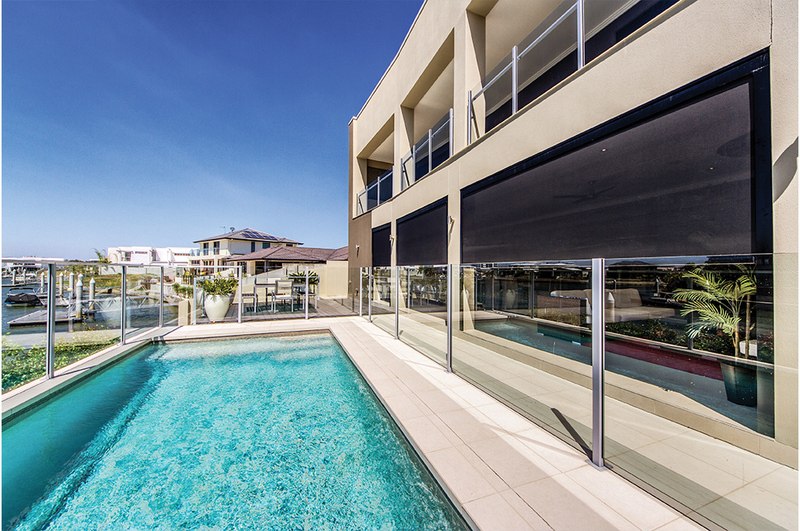 Vertiscreen: Vertiscreen blinds are specifically designed for Australian conditions .While they were originally intended to be used outdoors, Vertiscreens can just as easily be fitted inside and can also be motorised for added convenience. For more outdoor blinds and awnings, please click here.